The Nantucket Dreamland is a nonprofit organization dedicated to enriching the cultural and intellectual life of Nantucket by providing year-round films, educational programs, and a venue for community activities that engage Nantucket in the evolving world of entertainment and education. The Dreamland’s mission is to build community on Nantucket year-round by bringing people together to share experiences through film, art, culture, and learning. Our goal is to expand arts and cultural programming on Nantucket by enhancing the core movie experience, deepening our children’s theatre educational curriculum, and increasing our programming offerings. Located in the heart of downtown Nantucket, the Dreamland is LEED Certified from the United States Green Building Council (USGBC) as an environmentally sustaining “green” facility and is open to the public year-round, including use of our public restrooms. This state-of-the-art complex features a 314 seat Main Theater along with flexible meeting and theater space in the Studio Theater and the beautiful Harborview Room. With a rich history dating back over 180 years, the Dreamland has been lovingly restored through the generous donations of private donors as the arts, education, cultural and community center of Nantucket. 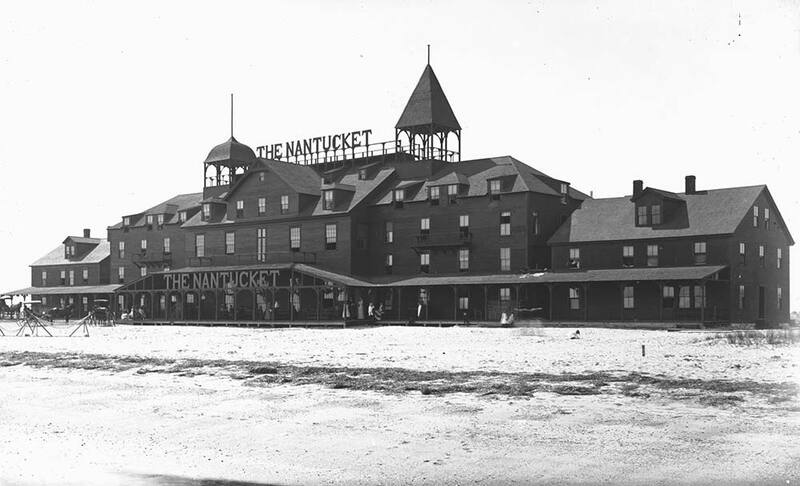 The building that was to become the Dreamland Theatre was moved to Brant Point in 1883 to become part of the Nantucket Hotel. In 1906, it was floated back across the harbor to it’s current location. The Dreamland’s state-of-the-art facility may be brand-new, but the theater has been a part of Nantucket’s cultural history for over 180 years, continuing a long tradition of serving as the arts and community center of Nantucket. Originally constructed in 1832 as a Quaker meetinghouse, the building also hosted open meetings in support of the abolition of slavery. It subsequently housed a factory producing straw hats and then a roller skating rink in 1880. 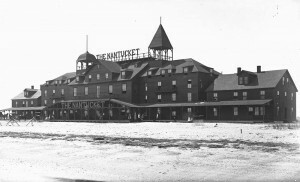 Known then as “Atlantic Hall,” it was dismantled and moved to Brant Point in 1883, reassembled, and incorporated into the Nantucket Hotel. In December 1905 the building was purchased by new owners and early in 1906 was floated back across the harbor to its present location, where it was reopened as Smith and Blanchard’s Moving Picture Show. The Dreamland Theatre c. 1930, showing movie posters for the films Vengeance and Sky Hawk. 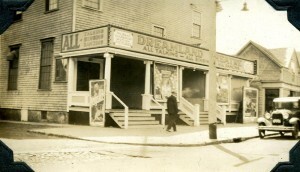 In 1911, the space was renamed the Dreamland Theatre. In addition to showing the latest moving pictures, the theater hosted vaudeville entertainment. Renovated and reopened in 1922, the Dreamland served as Nantucket’s primary entertainment venue for over 80 years, eventually showing first-run movies.